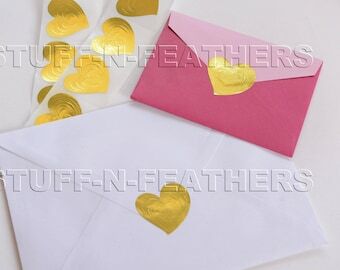 This is a listing for Small round embossed gold decorative seals, sticker seals, envelope sticker seals, invitation seals, embossed sticker seals, foil sticker seals. These seals have adhesive backings for a quick and easy application and no mess! 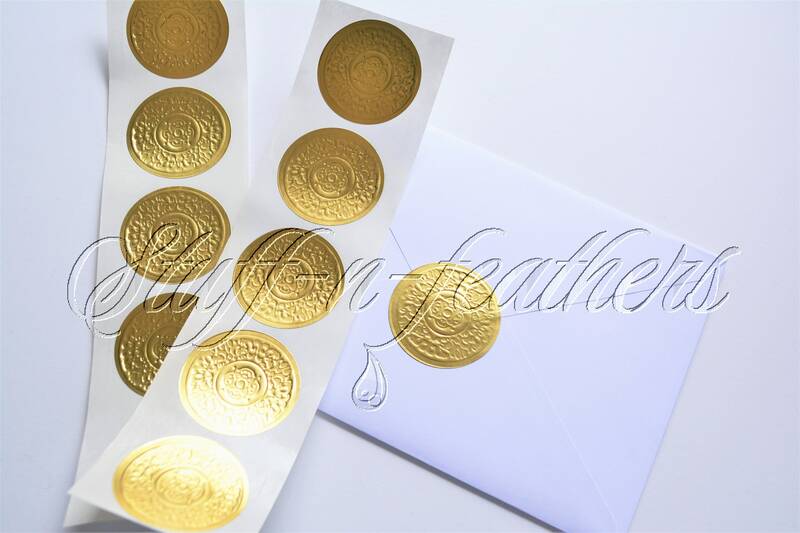 These round seals have beautiful design that gives them very rich looking texture and they are great way to showcase your gifts, products, embellish envelopes for special occasions, scrapbook embellishments and much more. Take your packaging and gift embellishment to the next level! ● Size: 1.5” (3.8 cm) in diameter. ● Quantity: Choice of 10, 50 or 100 pieces/stickers - The more you buy-the more you save! ►For more than a 100 stickers please choose multiple quantities of 100/50/10. These embossed stickers are very elegant looking. In days gone by, the back flap of a wedding invitation envelope was always embossed with the return address. If you aren't going to go there, these are the next best thing. Very pretty! They shipped very quickly and were packaged with care. Very nice seals, thank you!